Entrust the long-lasting reputation of Bowles Roofing when faced with the need to replace your roof. Many have considered the option of a metal roof system and may need help understanding the benefits associated with metal roofing systems. Make it easy on yourself and call Bowles Roofing to help with your decisions. 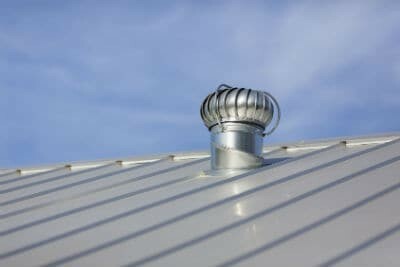 Metal roofing comes in different gauges (thickness) and different profiles. Many metal roofs carry a lifetime warranty. Metal roofing is a lightweight roof ranging from 50-150 lbs per square. The cost of metal roofing is higher than that of asphalt shingles. Metal Roofs hold up well in storms, high winds associated with hurricanes, hail, and heat, all the natural elements we face here in Florida. With a wide variety of colors and styles to choose from, Bowles Roofing has a metal roof solution perfect for any home or business. Metal roofs are better for the environment than other roofing materials because they are made with recycled material. The recycled content of metal roofing reduces both the cost and environmental impact of making new steel, as it conserves energy and other natural raw materials. In addition to their recycled content, metal roof panels offer the added benefit of being recyclable at the end of their “useful” life. If you have questions we at Bowles Roofing would love the opportunity to help you with the answers, please call us.